Make your event unforgettable, book Sonique to perform at your event – we are a booking agent for Sonique, and can arrange for her to perform for your guests. Playing regular sets at clubs such as Cream & Gatecrasher and Manumission in Ibiza (where she was a resident DJ for two years), but also in Germany, USA, Singapore, Hong Kong, Jamaica, Australia, Italy and Norway – Sonique now spins all over the world at club nights, festivals and private events. In the meantime, Sonique enjoyed two club and dance music chart hits with “I Put a Spell on You” and “It Feels So Good” on Manifesto Records. “Spell” was originally released in the UK in June 1998 and peaked at #36 in the official single charts while “It Feels So Good”, charted in December the same year, climbed up to #24. The track has grown to a mainstream hit in the US, breaking into the national Top 10, and belatedly gave her a UK chart-topper in May 2000. In the US a club DJ in Tampa, Florida began spinning her song from an import 12” before several other clubs in the US joined in. This led to explosive requests for the song at radio and retail, so Republic Records jumped in and signed Sonique right away. 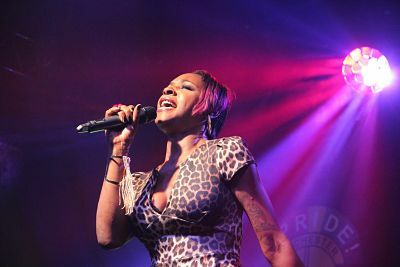 Pushed by the tremendous success of this single she finished her debut solo album “Hear my cry” in 2000, which spawned the next single release “Sky” – another excellent example of Sonique’s talent for writing crowd-pleasing anthems. The record debuted at #2 in the UK single charts in September, followed by the re-release of “I Put a Spell on You” which reached #8 in November 2000. Her debut album has now sold over a million albums in the UK alone. Furthermore, Sonique was recognised by the Guinness Book of Records as the first female solo artist to be #1 for 3 consecutive weeks – the first in 22 years since Kate Bush’s “Wuthering Heights” in 1978. With these successful single releases and a UK top ten album in her hand, Sonique topped other respectable nominees like Dido, Jamelia, PJ Harvey and Sade at the Brit Awards 2001 and received the honour as Best British Female Solo Artist. 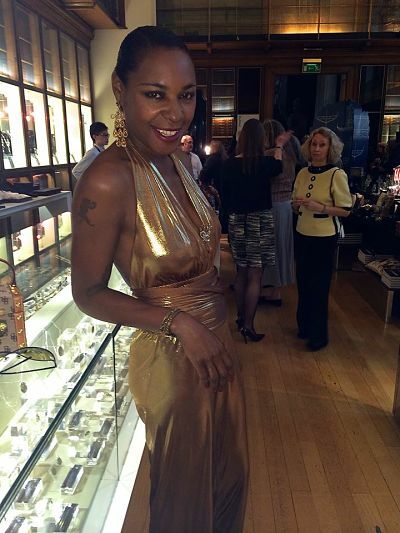 At the 46th Ivor Novello Awards that same year, Sonique also won the International Hit of the Year for her single It Feels So Good, from the number 1 album Hear My Cry. Contraband is the UK’s top booking agent, with attentive, skilled account managers who guarantee you the best deal possible. Contact us today if you would like to book Sonique to be the headline of your event! We as your booking agent are more than happy to help you create the most memorable moments with Sonique.